MTN Pulse is such that has a lot of goodies, it is one out of other plans that MTN really loaded with hottest gifts and better services. The package is mostly for youths and for also, the very youths that are young at heart. The package is such that makes one smile whenever he/she remembers to make call, because of its low charge rate. Some of us must have been searching for the latest or updated features of MTN Pulse, hey, search no more, here it comes to your court. So carefully read down to see its surprising packages. And how to migrate to it free of charge. ==>1. Pulse is where you get to express your life style, gist and laugh to your loved ones, could be your family or friends etc with a prepaid tariff plan billed at 11kobo per second only. ==>2. The plan at first will charge your call rate at 20kobo per second for the first 10 minutes. After that, the rest calls you make will be billed at 11kobo per second. Note: The free data will be given to you once in a every week. So once you are offered the data in a week after your recharge, if you continue to recharge within that week, no free data bonus will be given to you. Unless, the previous that was offered to you reached a week (7days) and got expired, then will another data be awarded once you make any recharge. ==>5. Pulse gives you a limitless world of possibilities with one time offer that was newly introduced by MTN Network. The offer was to get 500MB for only ₦25. To browse, chat, and download starting from 12am to 4am. The plan is a night data plan. To subscribe to it, make sure you have upto ₦25 or ₦30 in account balance, then goto your message box and text NIGHT to 131. It doesn't end there, they also attached another night plan which offers you 1GB for ₦500 only. Similar to the above 500MB which is a night plan. But this particular one can be used from 9am to 6am. To subscribe for the plan dial *131# and select night plans. ==>6. 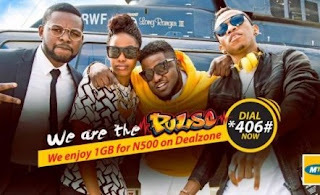 Download songs Unlimitedly with just ₦25 via MTN Music Plus. The subscription is meant for daily(1 day) but has limitless order of download. To subscribe send D to 5900. ==>1. To every migration on MTN tariff plans, it is free but subsequent migration within that month, will be billed at ₦100. So take note of that. ==>2. With the pointed out above regarding to migration to any tariff plan In MTN network noted. 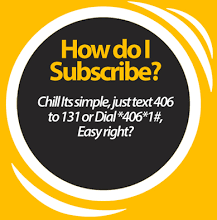 You can migrate to MTN Pulse by dialing on your MTN sim this code: *406*1# or go by sending this number 406 to 131. ==>3. For a successful migration, MTN will reply saying the migration was successfully activated. But if it failed, MTN will also reply telling you the main reason why it failed. Now, call your loved ones with pulse tariff plan. Do you know that Pulse tariff plan is different from ipulse tariff plan. Incase you don't know, they are really different from each other. But as it stands now, Ipulse tariff plan is no longer active as it was blocked by MTN network. So we are looking forward whether they will activate it again with new features. While waiting let's go ahead and enjoy this present working and active plan called PULSE TARIFF PLAN.